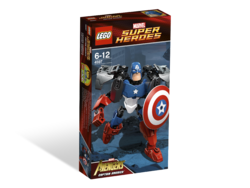 4597 Captain America is a Marvel Super Heroes set released in April 2012. It consists of an Ultrabuild model of Captain America. This is a description taken from LEGO.com. Please do not modify it. 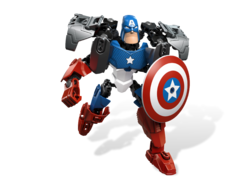 (visit this item's product page) Shield the world against any danger with powered up Captain America! Facts about "4597 Captain America"
This page was last edited on 19 August 2017, at 10:05.